Tighter skin, smoother jawline, improved neck appearance all achieved with Thermage. One treatment, with no downtime. Is it possible? Yes, it is and here at Skin Renu in Sydney we have been doing Thermage for over 10 years. Is it possible to get back to the real you with just one treatment? If all sounds too good to be true, for once it’s not! Thermage works by stimulating the formation of new collagen while simultaneously causing your existing collagen to contract and tighten. Thermage has been the gold standard in contouring and tightening for over 15 years because it delivers. It isn’t something new, it’s something that works. So how does it tighten and smooth so well? Thermage uses Radio Frequency (RF) technology to deliver heat deep to the dermal layer. Sounds a little scary, but no! While it’s doing this a blast of cold is delivered simultaneously to keep the surface of the skin cool. Heat where you want it, comfort when you need it it. It is “volumetric heat” that is delivered to the collagen fibres that have grown lax and saggy over the years. Volumetric Heat, big term that means measured, consistent and targeted. This causes your ageing collagen fibres, the saggy ones, to contract giving an immediate lift. One of our favourite things to do is to sit the patient up after half the face is done and hand them a mirror. It’s great to see their response when they see the lift on the treated side! While the immediate lift is great to see what then goes on over the following three months is the miracle of Thermage. New collagen is stimulated to grow. We all stop making new collagen around the age of 26 and that is why our skin gets saggy and wrinkles appear. Collagen stimulation is the goal of rejuvenation, the new collagen that is stimulated will further tighten and smooth the skin. Your treatment keeps silently delivering results over the next3-6 months! 3. Get Your Bikini Body Back! Thermage is an extremely versatile treatment as it can be used on other areas where loose skin and sagging cause concerns. The post baby abdomen area is particularly well suited for Thermage. While a woman’s body will naturally try and restore its body over the coming months many mothers feel the skin on their post baby tummies could certainly have a little help. Thermage on the abdomen will help tighten the skin and help with its elasticity. Arms, knees and buttocks also respond well to Thermage. At Skin Renu we have the Body Handpiece that can be used on suitable parts of the body. With a larger surface area treatment can be faster and more comfortable. Patients always want to know what is the best way to get the best outcomes and if Thermage hurts. To get the most out of your Thermage it is important to be well hydrated. That doesn’t mean have a glass of water in the morning before treatment! It means being conscious of your water intake for at least two days before and the day of treatment. Those famous 6-8 glasses of water everyone recommends you drink daily are important, not just for your general health, but RF (Radio Frequency) treatments, like Thermage, work better when you are properly hydrated. Also, remember if you drink coffee and caffeinated drinks like Green Tea, Black Tea or Coke you should be drinking even more water as these drinks dehydrate. Well hydrated skin also looks better! A good idea to keep in mind even when not thinking about Thermage. We also have the option of incorporating Omnilux with your Thermage. Omnilux is a non-invasive LED treatment that stimulates the cells encouraging collagen production. To prep your skin pre-Thermage two Omnilux pre-treatment two days apart and three post treatment will further increase cellular activity, prepare the skin and amplify Thermage’s results. Over the years the comfort level of Thermage treatments has greatly improved. Thermage’s vibrating hand piece and developments in its treatment tips make for the most comfortable Thermage treatments. However, the areas where nerve endings lie close to the surface of the skin and the neck continue to be the most sensitive. The discomfort one feels is a brief flash of heat. As soon as the pulse stops the feeling is gone. The pulse is over as soon as you detect it. An experienced therapist like those at Skin Renu will adjust their treatment according to your feedback. 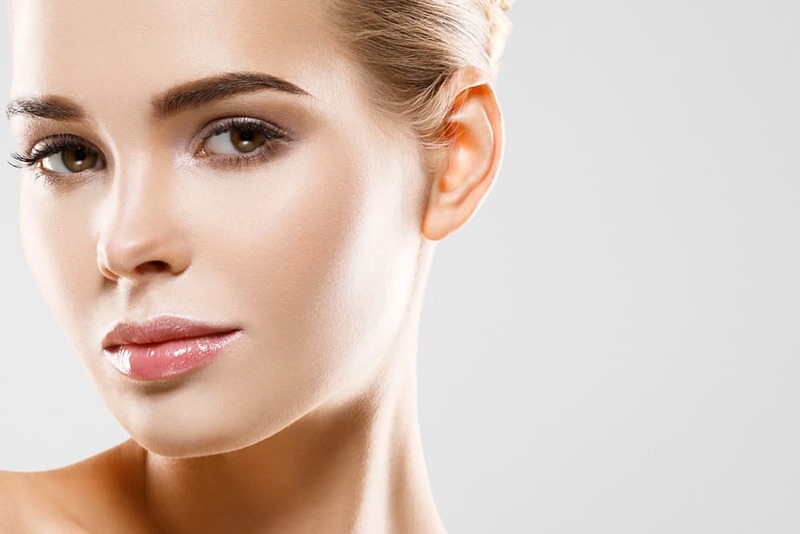 A well trained, highly experienced Thermage Therapist who has a good understanding of your facial anatomy and has mastered the technique of Thermage will always give you a better result. With hundreds of treatments and over ten years’ experience you can be guaranteed Skin Renu will give you the best Thermage treatment possible. Thermage is one of Skin Renu’s most popular treatments with clients returning yearly or biannually as their budgets permit. Stimulating your own body’s collagen returns your skin to how you use to look, it allows the real you to come back with natural results. Call Skin Renu today to book your appointment!